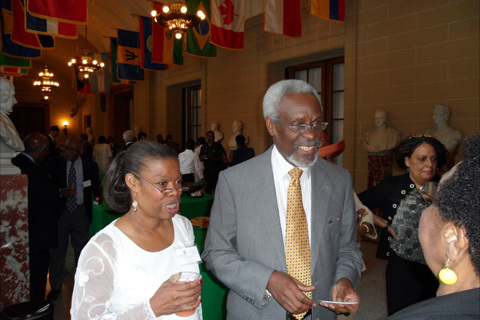 Most Hon. 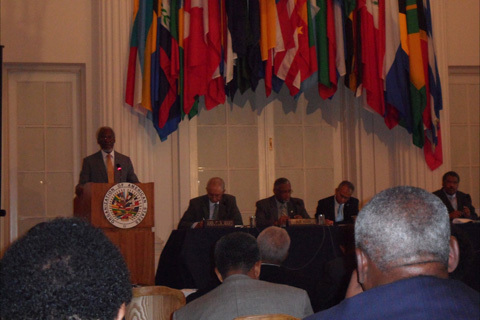 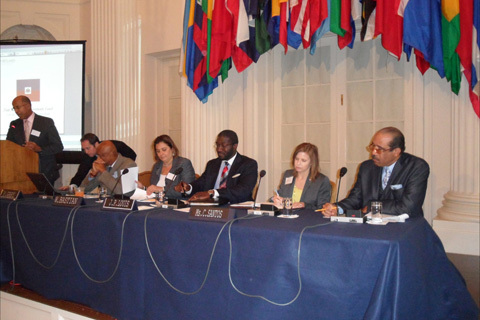 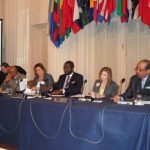 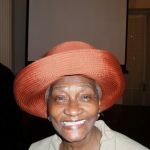 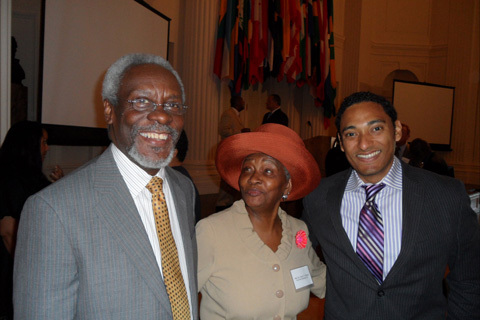 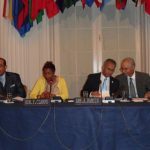 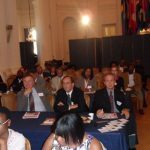 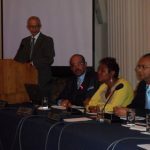 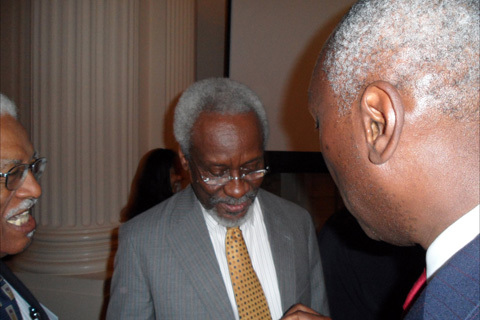 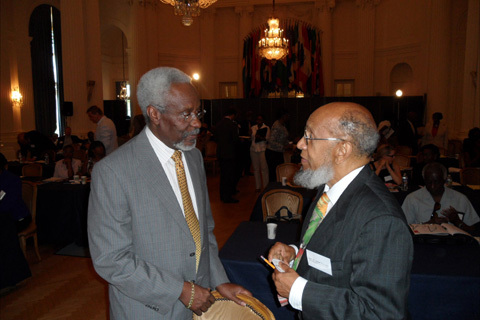 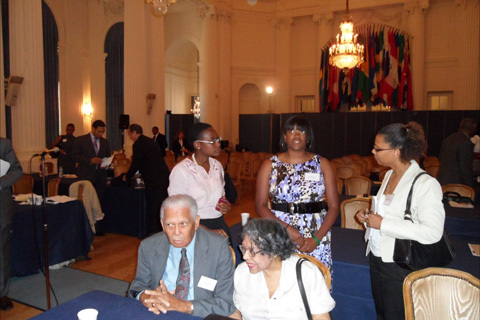 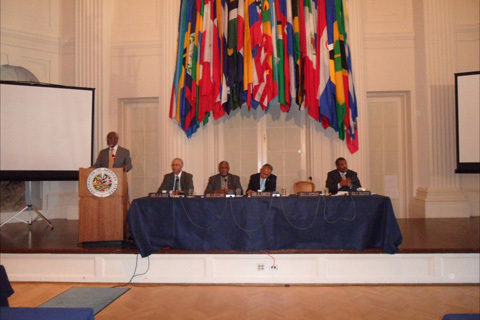 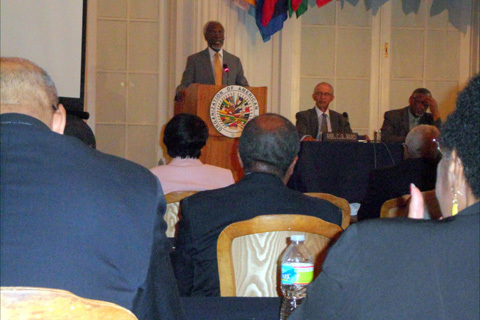 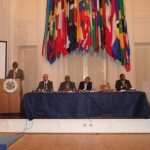 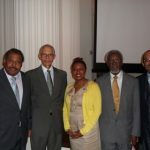 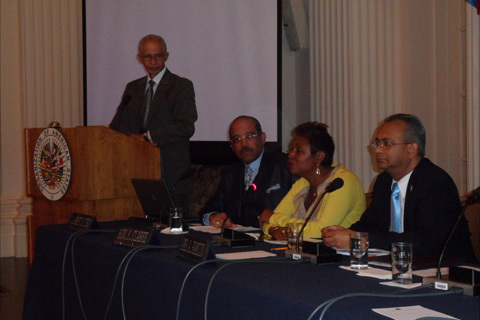 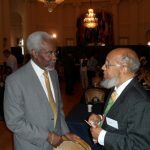 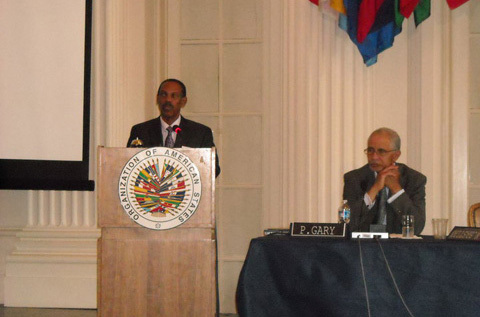 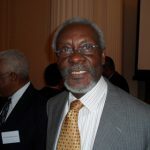 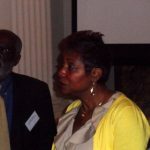 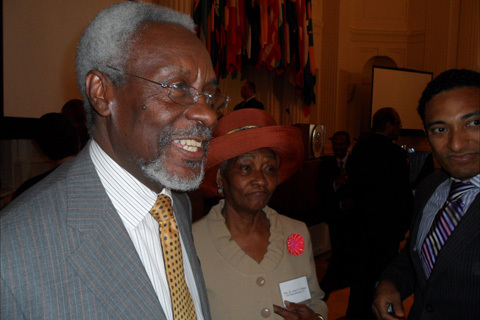 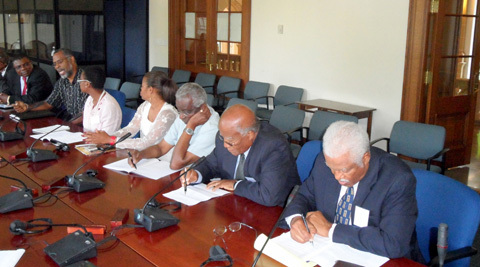 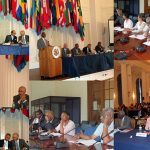 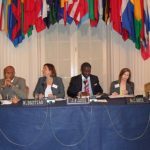 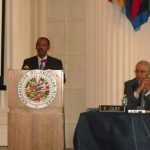 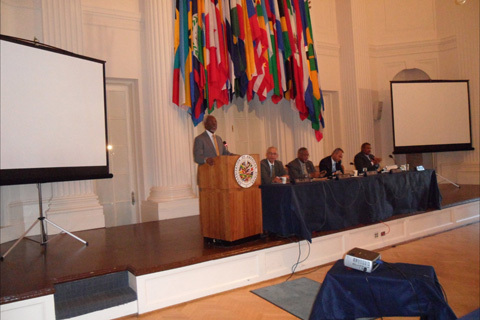 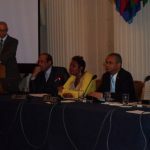 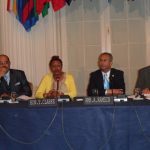 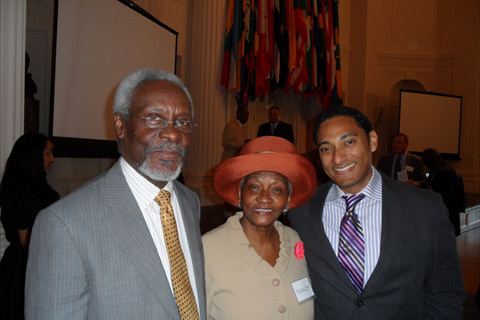 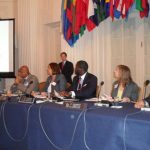 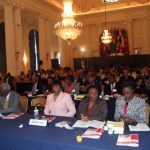 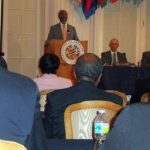 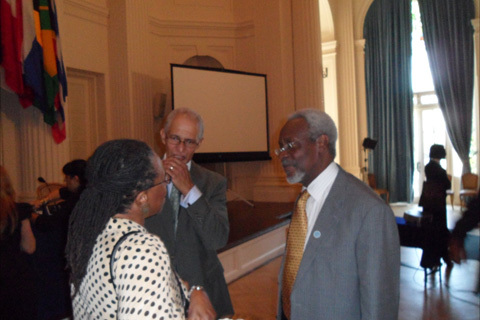 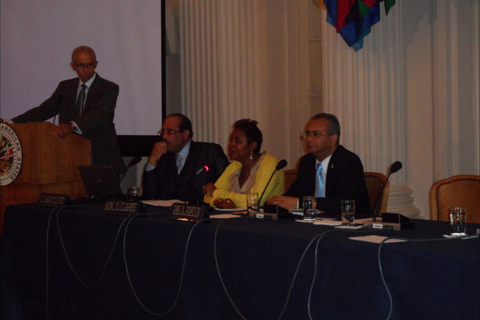 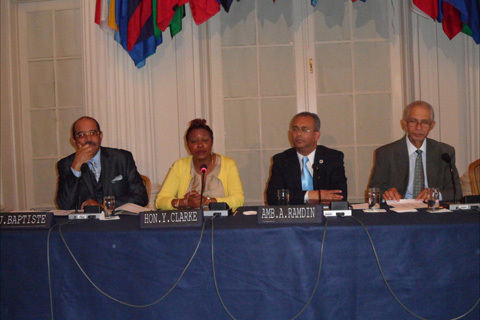 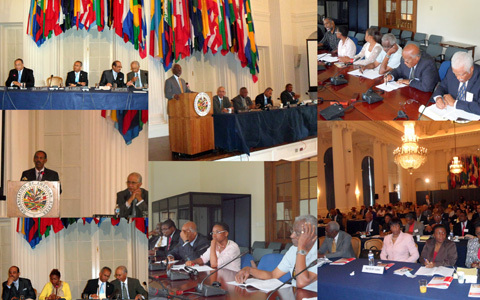 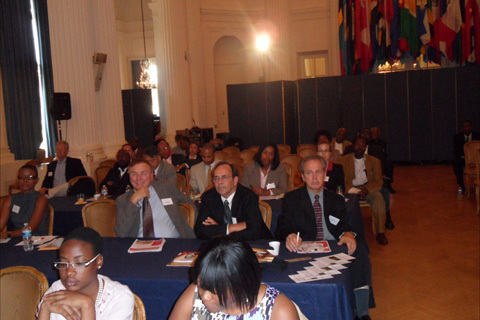 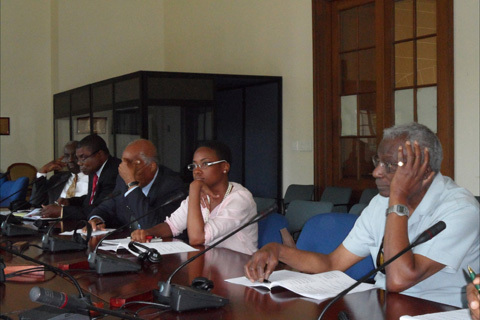 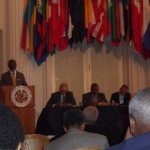 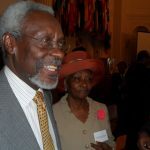 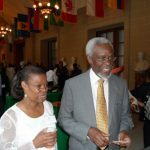 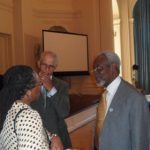 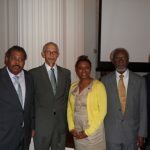 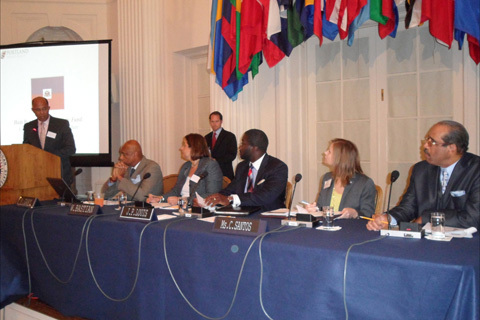 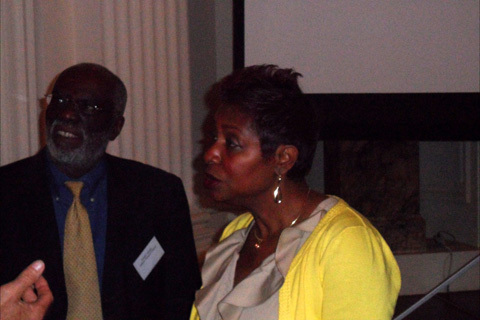 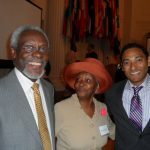 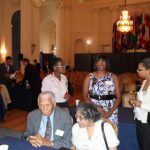 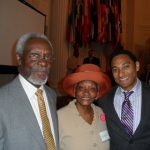 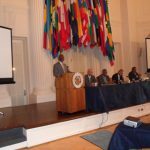 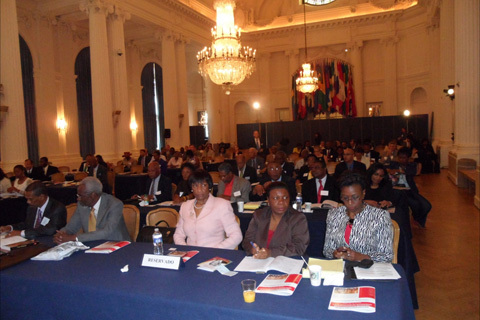 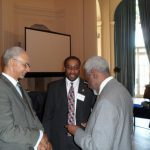 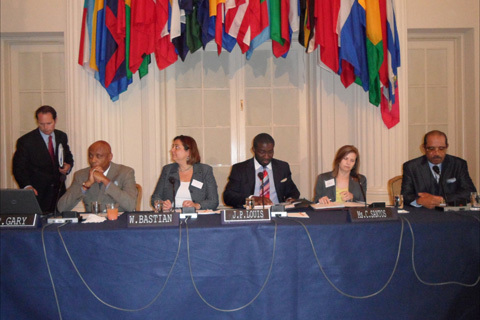 P. J. Patterson addresses Caribbean Diaspora Conference on Haiti’s Reconstruction 18 June 2010 at the OAS in Washington DC. 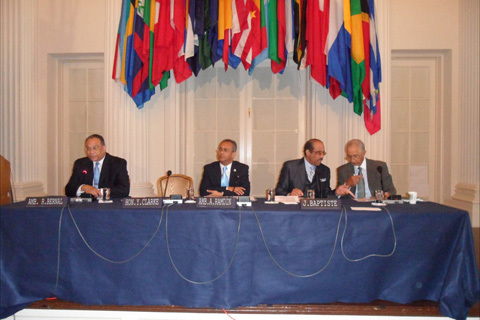 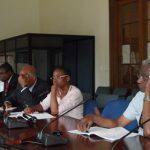 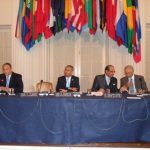 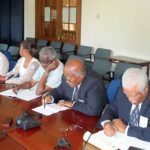 Seated (Lt – Rt) Conference and CRPC Chairman Amb. 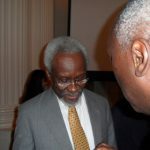 Curtis A. 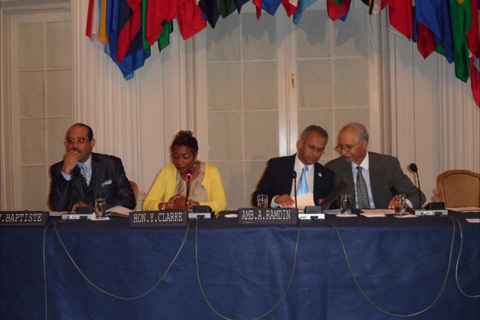 Ward looks and Amb. 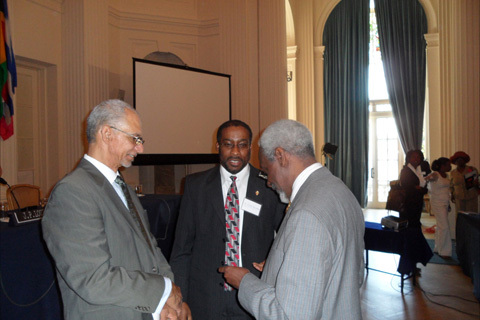 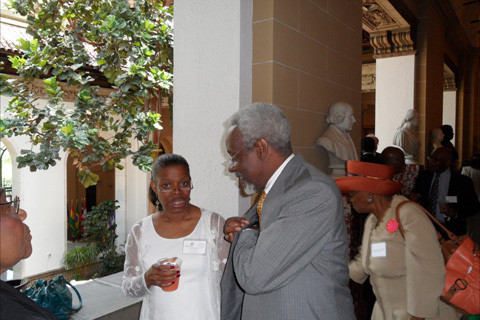 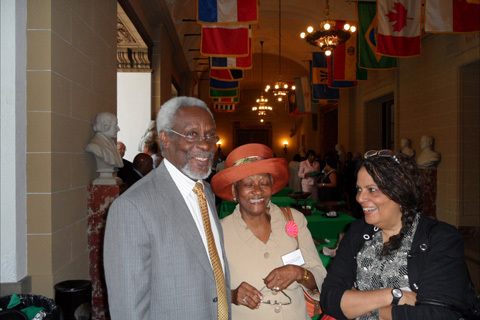 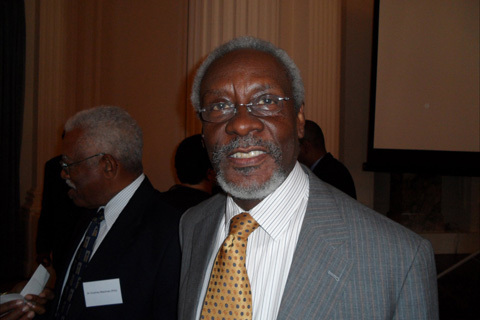 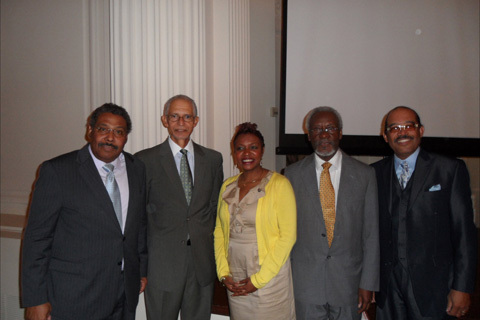 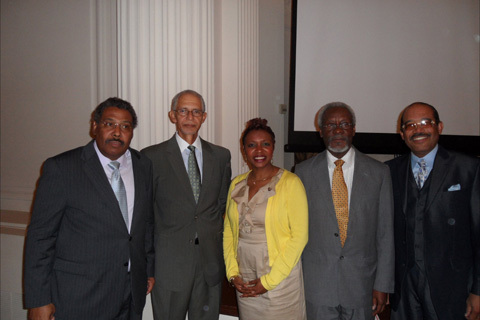 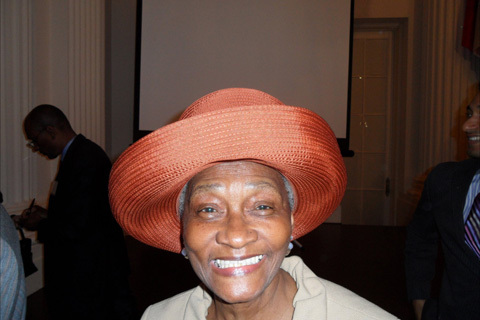 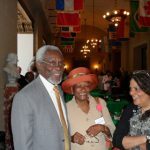 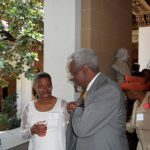 Dr. Izben Williams, Ambassador of St. Kitts & Nevis and Dean of the Caribbean Diplomatic Corps.